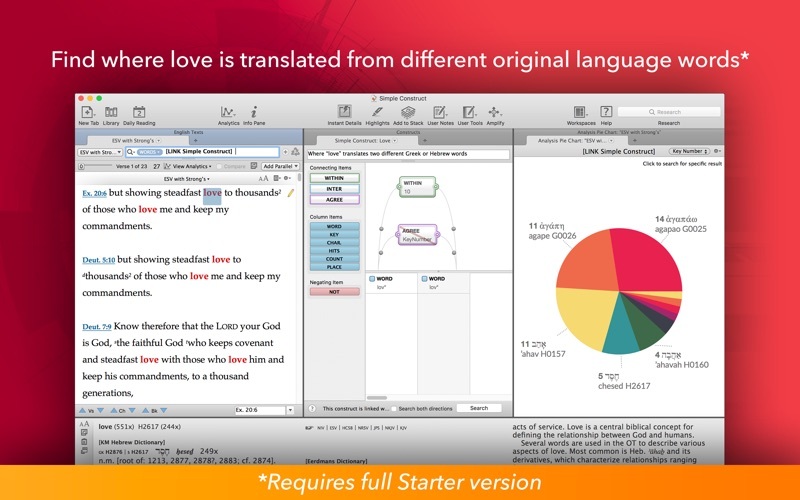 Accordance 12 by OakTree Software, Inc.
Go deep into Bible study with Accordance® 12 Lite. 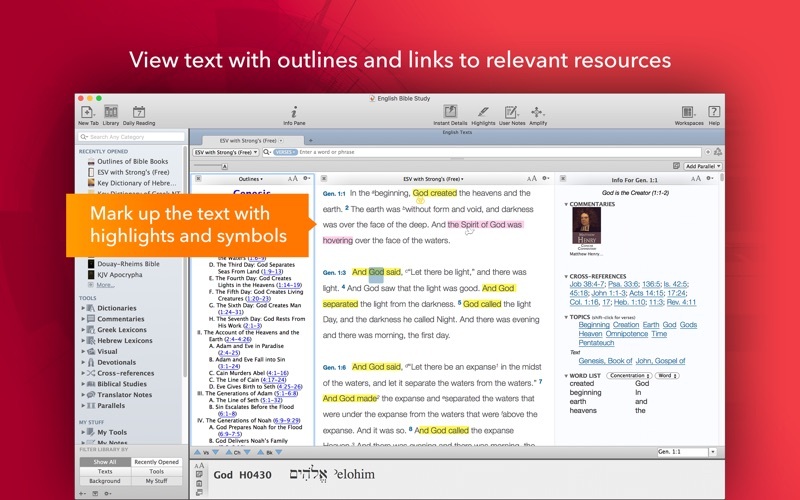 Accordance equips you with cutting-edge original language tools, a dynamic interlinear, drag-and-drop graphical searching, and a host of other features designed to take your Bible study to the next level. Experience a clean and simple interface that can be customized to complement your Bible study objectives. 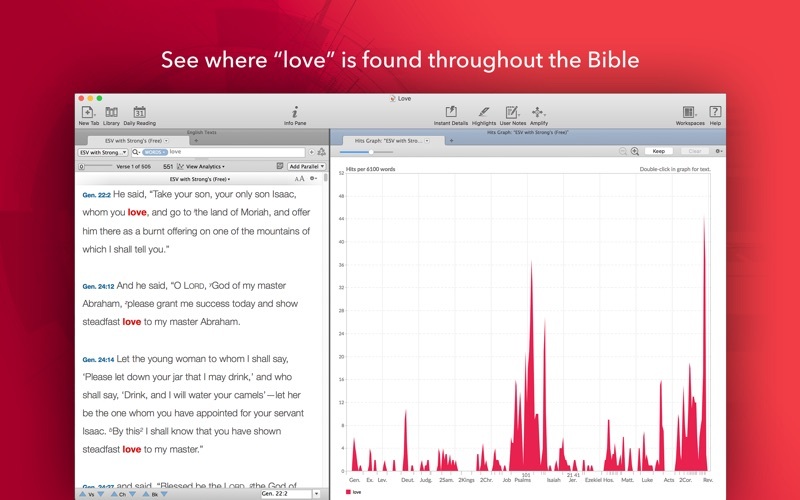 From within Accordance 12 Lite, you can purchase our Starter Collection and gain access to more features for research such as Stacks & Paper as well as a larger library of Bibles and reference works. 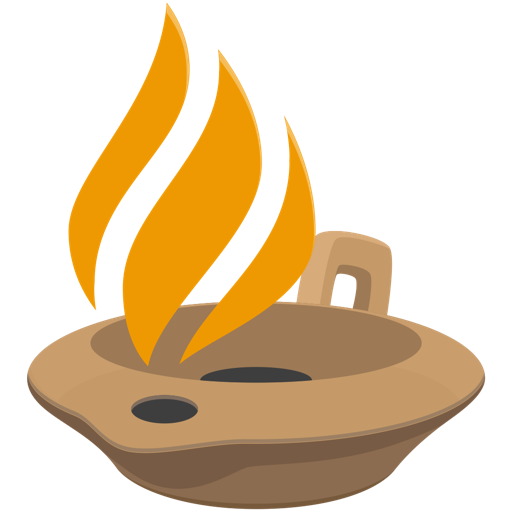 Accordance 12.3.4 delivers Korean Localization, User Bible Import improvements, Display enhancements, and several bug fixes. * Improved Unicode text entry and display with mixed-direction text. * Improved speed of Instant Details' rendering of unicode. * Improved expanded Instant Details lookup of Aramaic terms. * The Hebrew Construct will no longer misinterpret unicode Arabic text. - The Search tab is in Word search mode. - The verse entry is non-contiguous. - The verse entry is specified to a verse level. That is, the entry Ps 51 may show the extra verses, but Ps 51:1-5 will not show the extra verses. - If a specific book has too many missing verses to fill, such as in some books of the DSSB-C, when it is the search or reference text. - Added an explicit error message to not allow UTF16 files to be imported. All Unicode files must now be UTF8. - Improved the “detection” of UTF8 files that consist of languages supported by the Accordance ASCII fonts, such as Greek, Hebrew, etc. These files will be converted from UTF8 to ASCII using the respective Accordance fonts. UTF8 files that have mixed Accordance languages or no Accordance languages will be kept as Unicode modules. - Import of texts with chapter strings versification is now supported. - Import of texts with over 200 books is now supported. - Improved import of European verse notation and support “.” as a verse divider. - The progress bar will now properly advance for the entire import, rather than stalling and giving a spinning wheel briefly near the start for large texts. - Issue that could lead to misaligned verses in an imported text. * The Info Pane should no longer cause Text Info pop-ups, even if the user has disabled the “Suppress opening text information” preference. * Updated the titles of search analysis tabs to allow unicode. * Switching the “Notes Order” version will no longer cause the “Opening Text Information” to display. * Setup Assistant’s “Default Text” will now also be set as the web browser’s default text for scripture links. * Upgraded the WiFi sync ‘encoding error’ dialog to try to also show the name of the file it failed to encode. * Changed the “Suppress tool browser auto-sizing” preference to “Suppress Table of Contents auto-sizing in Tools”, since we no longer refer to the Table of Contents as “browsers” in the documentation. * The red “Range Selection” indicators in a Tool’s table of contents now align with the node they are indicating. * Updated help for 12.3.4. 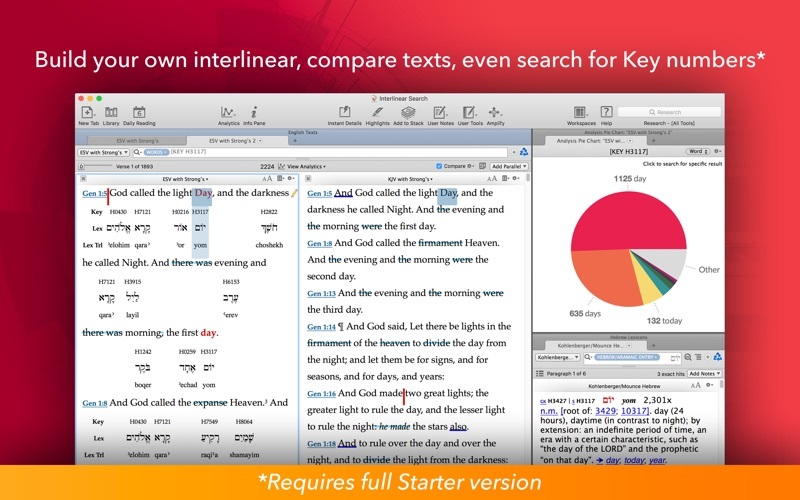 Accordance 12.3.2 brings Searching & User Bible Import enhancements, Usability improvements, and many important bug fixes. * Text browser tabs can now be renamed. * The Hebrew Construct ETCBC will now show “Clause” radio options in the correct dialogs. * The concordance for a search will no longer attempt to show original language book names in an English font. * The previous chapter/book buttons will now go to the start of the current book/chapter, rather than the start of the previous one, unless it is at the first verse in the ref list that is from that chapter. * The flex/exact button in tools will now also check the state of the extra conditions when determining whether to dim. * When text is amplified to a diagram, it should now align with the default grid spacing. * The web browser context menu items for “Download Linked File” and “Download Image” have been removed, since these are not supported. * When a workspace with the map is saved, the sites, regions, routes, and user layers that are currently selected will be saved delocalized, if possible, and are relocalized when loaded. This allows the items to remain selected if opened on a system using a different localization. * Where changing the “Group” dropdown menus in Live Click preferences would not un-dim the OK button. * In “Get Verses”, if the “Use Citation Format” box is checked, the process should now respect ALL of the user’s Citation preferences. * The user Bible import dialog now has a checkmark for use when the text is Arabic. If set, the import will assume the imported text is Arabic, and will skip the logic that tries to determine import language. The options for this dialog are now hidden unless the user hits “Advanced”. * More characters are checked during bible import to determine the language. * User Tool HTML import will no longer completely fail if a verse reference contains a typo somewhere in the document. * Optimizations for the info pane. The info pane should now load more quickly when it is initially opened. * Optimization to reduce startup time. * Minor optimizations for cross-highlighting. * Updated help for 12.3.2. ▪Improved Tool Page number format support to allow for a trailing ‘a’ or ‘b’ at the end of page numbers, such as in T-BAV-EF. 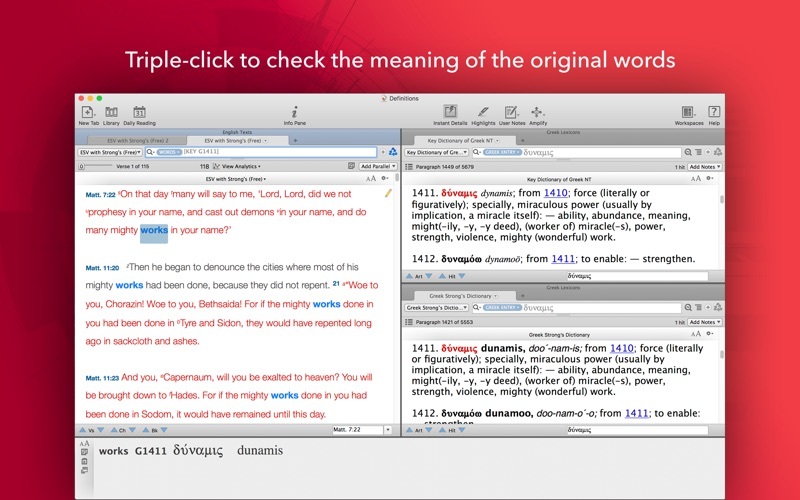 ▪Improved Tool hyperlinking to nonbiblical corpora to not just take the first two texts of that corpus, but walk through them until the verse is found.